Offload Unused Apps On iPhone: What It Means & Why You Should! You are at:Home»iPhone»Apps»Offload Unused Apps On iPhone: What It Means & Why You Should! You were exploring the Settings app on your iPhone and saw the option to enable a feature called Offload Unused Apps. 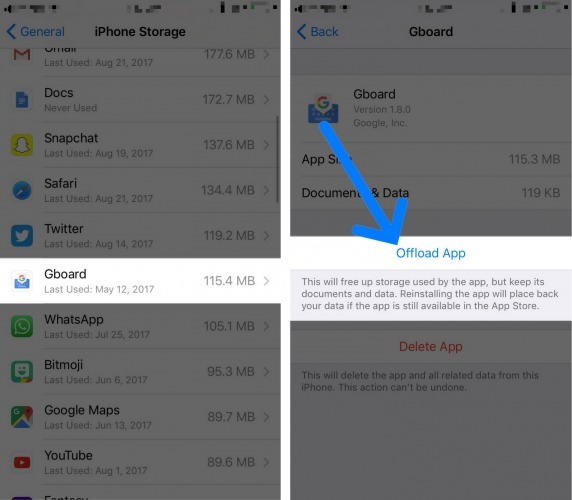 This new iOS 11 feature is similar to deleting apps, except data from offloaded apps isn’t erased from your iPhone. In this article, I’ll explain what it means to offload an app on your iPhone and discuss whether or not it’s a good idea to offload unused apps. What Does It Mean To Offload Unused Apps On iPhone? When you offload unused apps on your iPhone, the app is deleted, but the saved data from the app remains on your iPhone. For example, if you offload the Netflix app, the app itself will get deleted, but data like your login information will still be there if you reinstall the app. 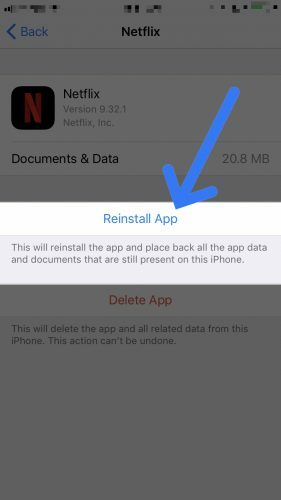 If you were to delete the Netflix app rather than offload it, the app itself and its saved data (such as your login information) would be completely erased on your iPhone. How Do I Offload Unused Apps On An iPhone? You can enable Offload Unused Apps in the Settings app. You can pick individual apps to offload. Both of these options can be accessed by opening the Settings app and tapping General -> iPhone Storage. Under Recommendations, you’ll see the option to enable Offload Unused Apps. You can also scroll down and see a list of your apps organized by how much data they use. You can offload an individual app by tapping on it in this list and tapping Offload App. Should I Enable Offload Unused Apps? The Offload Unused Apps setting is basically a “master switch” that gives your iPhone control over which unused apps get offloaded. We don’t recommend enabling this feature because you don’t want to wind up in a situation where you need to use a specific app, but your iPhone automatically offloaded it. By manually offloading individual apps, you have complete control of your iPhone and your apps. 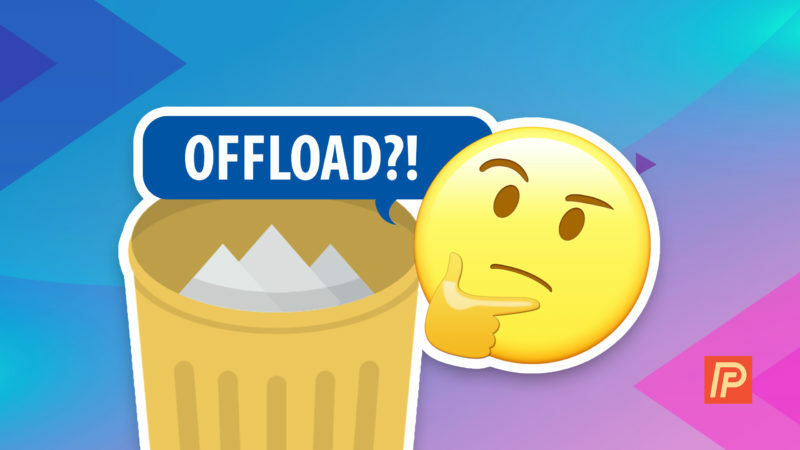 What Are The Benefits Of Offloading Unused Apps? The biggest benefit of offloading unused apps is the ability to quickly free up storage space. 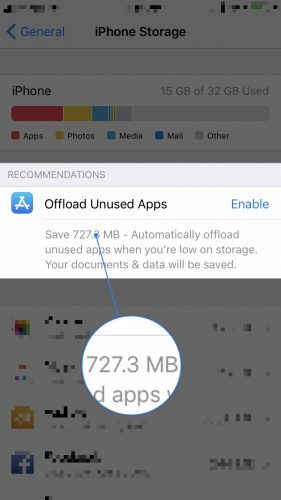 Apps can take up a lot of storage space on your iPhone, so offloading the ones you don’t use often is an easy way to free up more space on your iPhone. How Much Storage Space Can I Save By Enabling Offload Unused Apps? It’ll say how much storage space you can save by offloading apps underneath the Offload Unused Apps menu option. As you can see in the screenshot below, I can save over 700 MB by enabling Offload Unused Apps on my iPhone! Even after offloading an app on your iPhone, the app’s icon will appear on your iPhone’s Home screen. You’ll be able to tell that the app is offloaded because there will be a small cloud icon below the app icon. 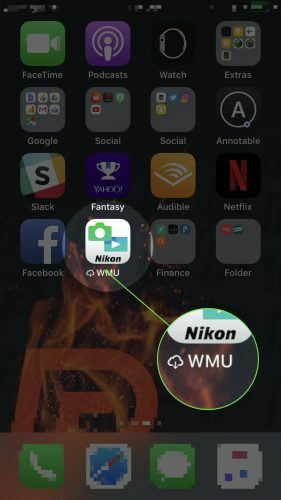 To reinstall an app you’ve offloaded, simply tap on the app on your Home screen. 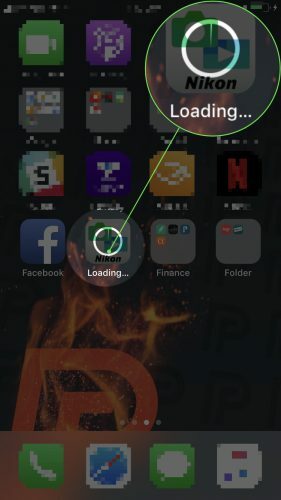 A status circle will appear on the icon after you’ve tapped on the app and it will begin to reinstall. You can also reinstall an offloaded app by going to Settings -> General -> iPhone Storage and tapping on the offloaded app. Then, tap Reinstall App. 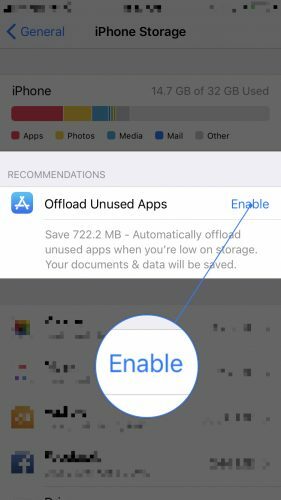 We hope this article helped you understand what it means to offload unused apps on your iPhone and why you may want to start offloading apps on your iPhone. If you have any other questions about your iPhone, feel free to leave them in the comments section below! Previous ArticleGoogle Maps Audio Delayed Or Not Working On iPhone? Here’s Why! Next Article What Uses Data On iPhone? Using Too Much? The Fix!